If you order this product together with others as part of a bundle, you can save up to 4 % additionally! 5 customers have given this product a 5-star rating. I use this piano mainly for home practicing and small gigs in restaurant and hotels, where the sound of its own speakers is enough loud. What I most appreciate, is a bluetooth connectivity, wich let me practice and play along the track simply using my cell phone,or tablet. The two main sounds CFX and Bösendorfer are great, but through the built in speakers they sound bit boxy. 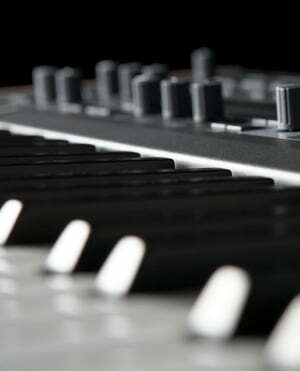 The keyboard feels good,but for my taste the dive is bit too deep, so after hours of practicing my hands feel tired. 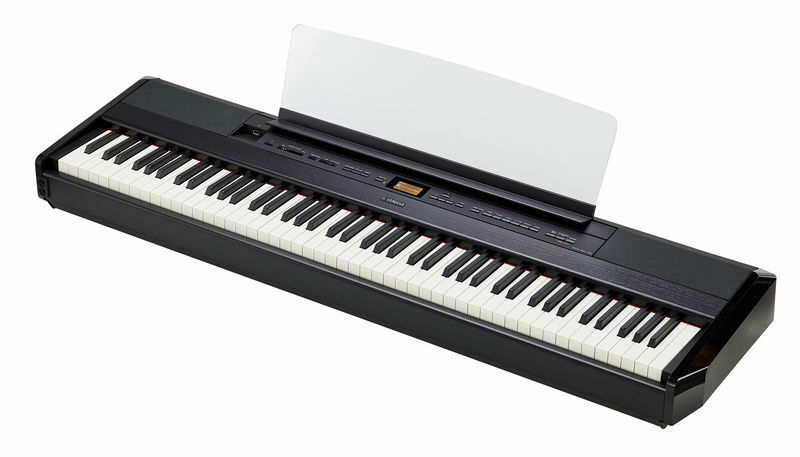 The Controls of piano are very basic, I recommend to use an App (Yamaha Smart pianist) if you want to play with settings, the built in display is way too small. Built quality is good, and the weight is reasonable considering the wooden hammer action keyboard and built in speakers. Cons : Little bit boxy sound of piano through its own speakers. Great keyboard with excellent attack behavior. Good sound via the integrated 2-way system. Compared to my Kawai CA 93, however, something of the bass is missing, but the comparison is (structurally conditioned) also unfair. I only use the piano sounds. Visually, the P-515 (finally) is also very appealing and in connection, with the very well-tuned stand L-515 and the pedal unit LP-1, now also fully "living room suitable". I can not say anything about the app (Smart Pianist), which I do not use. ID: 443118 © 1996–2019 Thomann GmbH Thomann loves you, because you rock!